Welcome to my second mash of 2012. I’ve gone all chilled out on this one and slowed things down a little. It features the vocals of Phil Collins and Genesis with In Too Deep, updated over Katy’s album closing track, Not Like The Movies. I’m particularly happy with the key changes and chord progression on this one! ;o) Feedback welcome. Cheers. DJ Flashard – Genesis vs Katy Perry – Not Like In Too Deep. Mixed using Genesis – In Too Deep (Acapella) and Katy Perry – Not Like The Movies (Instrumental). Sorry, Guys, had to take a little break over Christmas and New Year due to some technical problems (like a hard disk crash to start with)… Grrrr! Anyway, normal service should now resume as I’m all reloaded (and didn’t lose any pellas or mentals either, so that was a relief!). Made this little mash a few days ago, although I fully appreciate there are plenty of Adele – Set Fire… mashups out there. Hope you like my take on it! As always, comments and feedback welcome. Cheers. 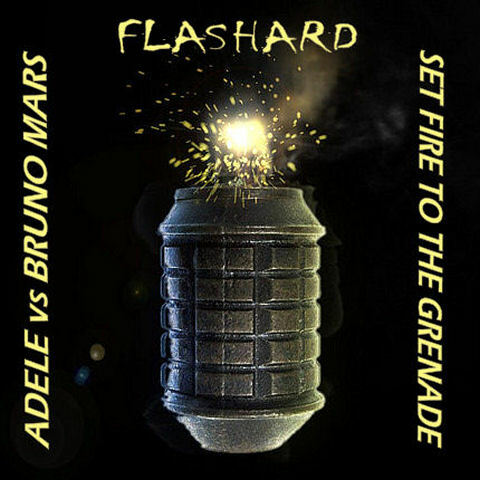 DJ Flashard – Adele vs Bruno Mars – Set Fire To The Grenade. Mixed using Adele – Set Fire To The Rain (Acapella) and Bruno Mars – Grenade (Instrumental).